Red RC - RC Car News - Page 4 of 4234 - Red RC - RC Car product news, views and race results. 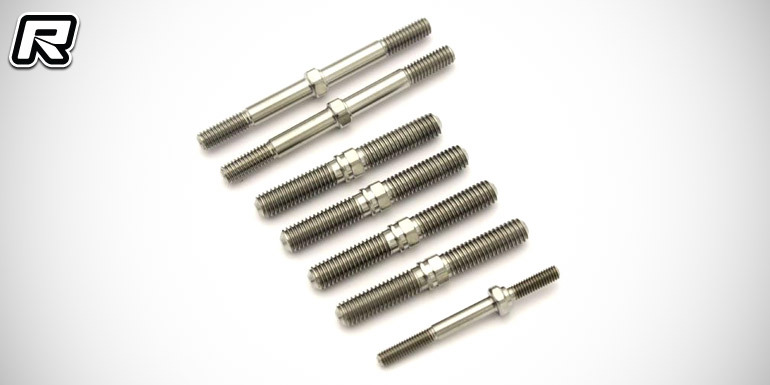 Kyosho have introduced a titanium turnbuckle set for the Inferno MP10 buggy. Machined from high-quality material the links will reduce unsprung wight for quicker steering response and more efficient suspension action while offering improved corrosion resistance at the same time. The set includes front and rear upper links, steering tie rods and a steering servo turnbuckle. 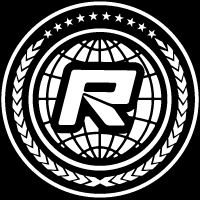 Sparks RC Raceway of Columbus, Ohio played host for the Factory Tracks Invitational race last weekend. The well-prepped track track offers a really fun, flowing layout with a super smooth surface. The race format was Reedy Race style, with a spec tire and spec sauce and no tire prep allowed and it featured some of the top drivers in the midwest. The schedule saw 4WD on Saturday, with five heads up races with one drop allowed. Xray’s Ty Tessmann had four 1st place and one 2nd place finished, which put him in the lead for 4WD and the lead going into Sunday. 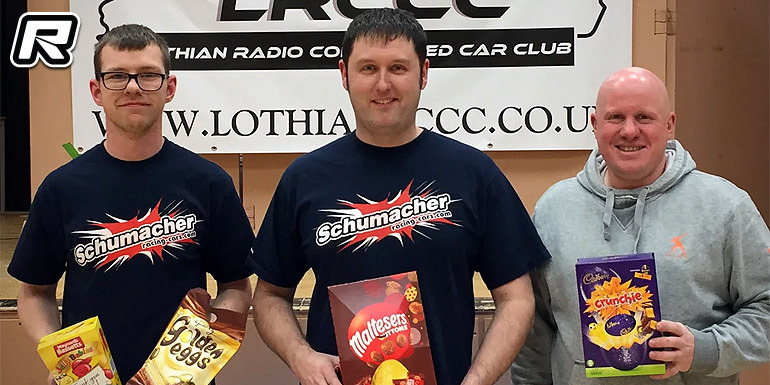 Sunday was 2WD race day and again it was Tessmann in the lead with one 2nd, three 1st and a 5th place finish, which again would give him the lead in 2WD and he would also finish 1st for the overall. HB Racing’s Spencer Heckert came in 2nd from TLR’s Mason Fuller 3rd. Revolution Design Racing Products have introduced their new +5mm 7075 aluminium chassis for the ultra-popular Team Associated B6.1 2WD buggy. The main plate adds 5mm of length for an easier to drive car especially in high-bite track conditions such as carpet and astro turf, allowing to pull faster single laps while offering greater consistency over the whole run at the same time. In addition the chassis will also improve handling on bumpy surfaces where the main plate will ensure improved stability. The chassis is machined from aircraft-grade 7075-T6 aluminium for strength and optimised flex characteristics while the black anodised surface ensures high durability and factory looks. Machined silver edge details and laser-etched RDRP logos make the part stand out. The main plate fits the B6.1 and B6.1D kits and is usable with most “under servo” and “under electronics” weight kits. Yokomo have introduced their new 34g shorty battery weight for the use with off-road buggies, drift and 1/12th scale pan cars. 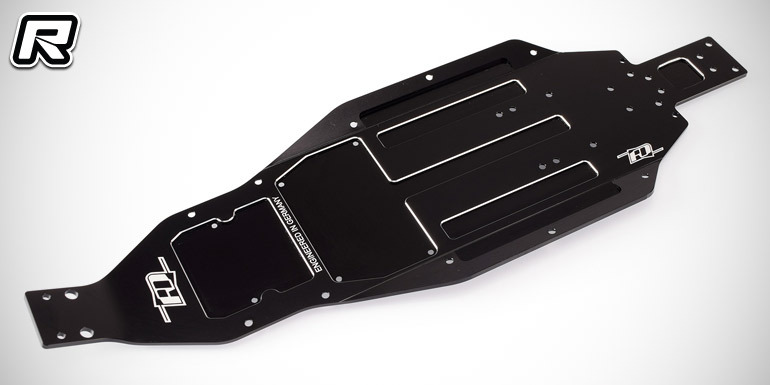 Machined from 1mm steel material and coming with a black surface coating and laser-engraved Yokomo logos, the plate allows to add weight in the central part of the chassis and when running lightweight battery packs. 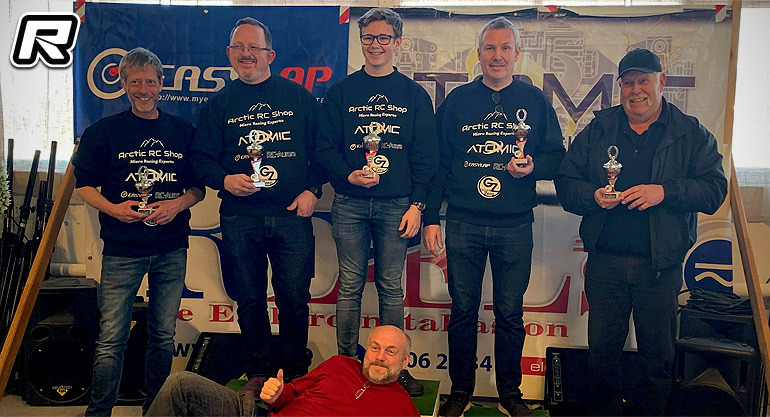 The 2018/19 VRS-Micro Touring and Truck Series, held from October to April at the Vestfold RC Senter in south east Norway, recently concluded with the final round. The series sees the running of 1/28th scale Stock, Truck and Mod classes on ETS-style carpet using RC Atomic and GL-Racing 4WD cars. 13-years old up and coming Olav Frostad Dahle has been the boy to beat this year, since he won both Stock and Modified class last season. In the end he was at the front of both Stock and Mod classes, ultimately taking both titles. But it wasn’t without a stronger competition this year. Behind Olav, it has been a very hard battle in Stock the hole season between Tommy Dahle, Torbjørn Jørgensen, Eskil Røvik, Tommy Lønn, and Håvard Gulliksen. Another young and very talented driver is 13-years old Eskil Røvik who had his breakthrough this season and showed a very strong pace in the second part of the season. But in the end it was Tommy Dahle with the overall runner-up spot from Torbjørn Jørgensen in 3rd place. 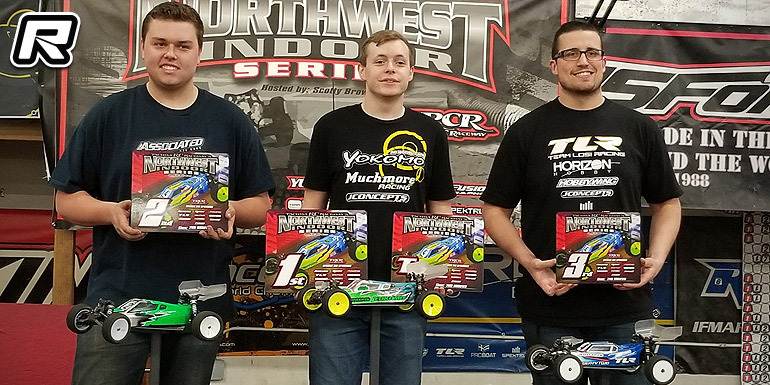 The fifth and final round of the Northwest Indoor Series was held at the Tacoma RC Raceway in Tacoma, Washington this past weekend. In the 2WD Modified Buggy class it was Yokomo’s Jackson Andres with the TQ and he would also bring home the win after some very eventsome triple A-mains in which he would score 1-3-4 finished for the overall. AE driver, Tyler Miller came in 2nd, tie on points with 6-1-3 finishes. Daniel Lea (TLR) had to settle for 3rd overall with 3-6-2 finishes. 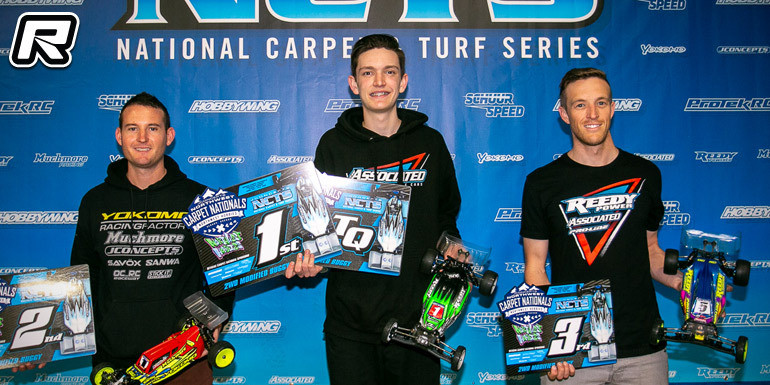 This past weekend Northwest Hobbies in Albany, Oregon played host to round 2 of the 2019 JConcepts National Carpet and Turf Series also known as the Northwest Carpet Nationals. The 2019 NW Carpet Nationals layout was very challenging. The track flow was super fast and required a lot of low-speed steering as the angles and turns were really tight, but yet needed balance because of the full length straight and high-speed sweeper that required confident steering and stability. Getting the car setup right was the key to lap speed, but keep in mind the faster you go the harder it is to maintain consistency which led into an internal battle of pushing too hard and going too slow. 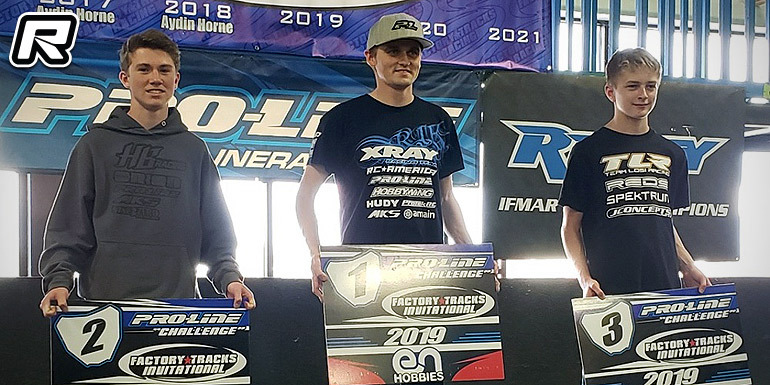 In 2WD Modified Buggy it was a flawless performance by one of the industry’s brightest young stars as Team Associated’s Broc Champlin scored his 1st major victory on carpet at round 2 of the NCTS. After round 1, Broc was searching for a bit of redemption and with a dominant win in A1 and A2 here at round 2 in 2WD Modified, Broc is starting to emerge as a true competitor on the world scale. Team Yokomo’s Ryan Cavalieri finished 2nd, but is starting to gel better with his new gear and inching closer to his winning ways. AE’s Dustin Evans finally got his car to his liking on main day and found great speed and finished 3rd on the podium.